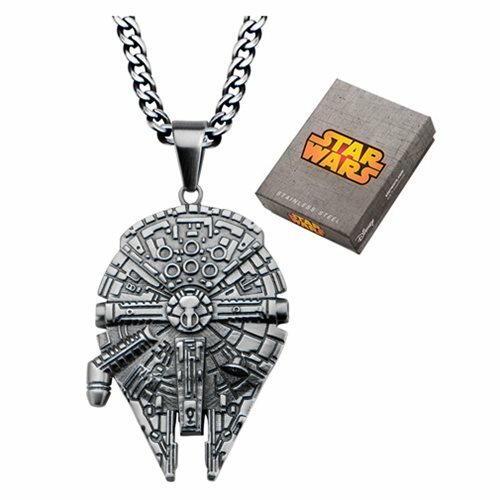 Show your love for Star Wars with the Star Wars Millennium Falcon Stainless Steel Pendant Necklace! This beautiful necklace is made of stainless steel. Get the Star Wars lover in your life this awesome piece of jewelry! The pendanet measures about 1 5/8-inches long x 1 1/16-inches wide and hangs from a 22-inch chain.